You'll be £4.99 closer to your next £10.00 credit when you purchase Last Man Standing. What's this? 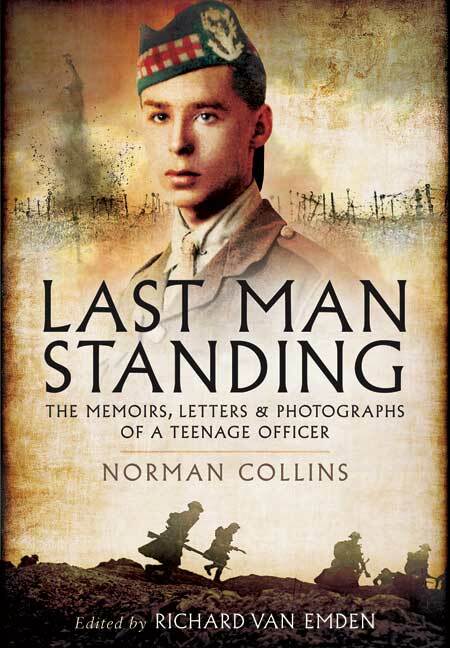 Using Norman's own words, Last Man Standing follows him from his childhood in Hartlepool to his subsequent service in France. The book also covers such shattering events as the German naval assault on Hartlepool in December 1914 when, as a seventeen-year-old, Norman was subjected to as big a bombardment as any occurring on the Western Front at that time. Norman's love for, and devotion to, the men under his command shine out in this book and his stories are gripping and deeply moving. They are illustrated by a rare collection of private photographs taken at or near the front by Norman himself, although the use of a camera was strictly proscribed by the Army. Most of the images have never been published before. Nineteen-year-old Norman Collins was commissioned from the ranks of the Seaforth Highlanders in summer 1916, reached the trenches during the Somme battles and served in 1917 at Arras and on the periphery of Messines. Wounded in July 1917 he saw no further action. His collection of letters, photographs and the record of interviews as an old man are a treasure trove of information on Western Front fighting. Richard van Emden has produced a really memorable account of Norman Collins' war. A HEROIC young soldier’s memorable account of conflict has been published for the first time. Hartlepool man Lieutenant Norman Collins saw the terrors of the First World War first hand and penned as many memories as he could in 170 letters and 42 postcards back home. Forty one years later, the documents have been published in the book Last Man Standing by historian Richard Van Emden. Enthralling memoir. These letters form the freshest part of this book, full of detail about kit and food that obsessed soldiers but which do not find a place in the history books. This is one of the last great first-person memoirs of the Great War. Extraordinary diary, letter collection and photos. This is a harrowing tale of battle, loss and the horrors of war. Norman reached the grand old age of 100 and passed away in 1998; in his later years Rivhard van Emden got to know him well, working with him to produce this excellent publication. Working with an unusually detailed collection of letters, documents, illustrations and photographs, the editor has put together a fine biography of Collins, his life and most of all his service to his country. The book brings vividly to light the war and one man's part in it. A Must Have. This fantastic little WWI book is a must for any budding historians. Collins was underage when he joined the Seaforth Highlanders and was a 19-year-old officer when he led at the battle of the Somme. This book contains extracts from his diaries and a remarkable personal collection of photographs which lend this account a poignancy and immediacy which is often breathtaking. Unique first-hand accounts of the First World War and the 1914 Bombardment of Hartlepool, as seen through the eyes of one of the conflict's last survivors, are the subject of a fascinating new book.